I know the usual phrase is “Christmas in July”, but if I’d waited to write this post then it might be too late. I am one of “those people” who shops for Christmas all year. I have most of my shopping done, except for the stocking stuffers, by early October. I actually wrap and put the gift tag on the gifts as I buy them during the year and then put them away in a drawer. When December arrives, I pop on a bow, then the present goes under the tree or in a box to its final destination. Picture taken as I was wrapping a Christmas present, last Tuesday. These are all great motivators to buy little presents here and there throughout the year when they only seem like 5 minute tasks. However, that is not why I do this. I do it because I’m cheap. Okay, maybe “cheap” isn’t the best word, since it implies some level of stingy-ness. I put a lot of thought and care into the gifts I give. How about “hard-core thrifty”? Yes, that’s much better. Coupons and cash are our allies in the war on Christmas budgets! Planning ahead allows me to find deals and sales throughout the year. This means I always and only pay cash. If I don’t have the cash to make the purchase, I still have months to find another sale or pick another item to give. This also means there is NO CHRISTMAS DEBT to take the fun out of our New Year’s celebration. I bet you like the sound of that as much as I do! When I explained how I wrap presents in advance, what I’m about to show you is what helps me keep the wrapping costs low, too. 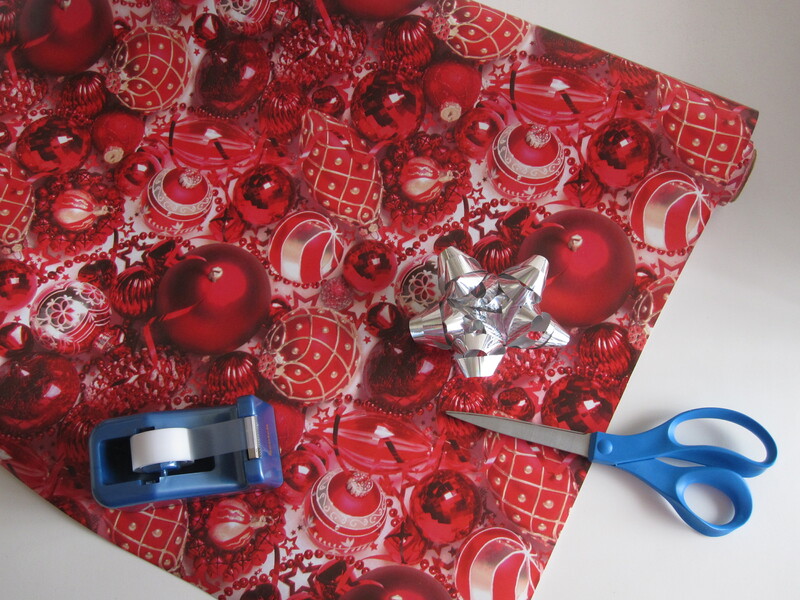 As I see it, what good is saving on gifts when you splurge on the wrapping paper? You know, the part of Christmas you throw away! I’m not saying you should wrap your presents in newspaper. But, I think buying wrapping paper in December is as silly and expensive as standing in line at the mall. I get the Current catalog all year, because when I do buy from them, I stock up. Each catalog has lots of fun and pretty things: greeting cards, gifts, seasonal decor, items for the home and wrapping paper. However, I have learned to NOT buy anything from them until their huge annual summer sale. This year’s sale ends July 8th! Many people know about this annual sale, so the deals can sell out quickly. 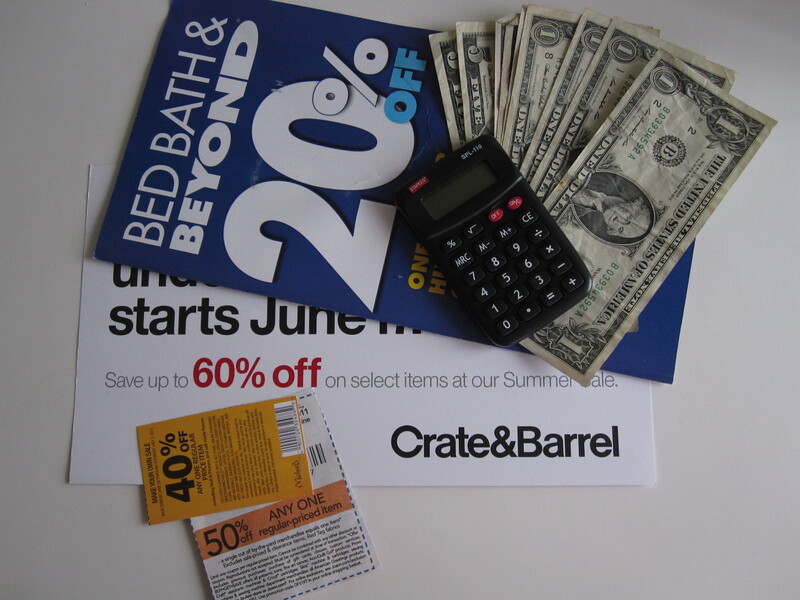 So, now is when I stalk my cheap prey and swoop in for the kill…er…savings. This roll of paper is 72 feet long, which means it can wrap 18 shirt boxes. Right now, it only costs $5.49. Oh, and Current offers matching gift tags for only$1.99. Every three years or so, I stock up on wrapping paper. I buy 4 or 5 rolls of Christmas paper in that year’s version of this super sale. Then we use up this paper for the next years. using up what you have first. Some of you may be thinking, “But, the presents will all look the same under the tree!” They don’t. Just mix in the presents you exchange with other family and any presents Santa might wrap on his own and your under-the-tree area looks great. Think back to the best Christmas present you ever got. What was it wrapped in? Uh huh. Nobody remembers the wrapping paper, but everyone remembers a thoughtful gift. Prioritize your energies and spending! How do I save money on bows? 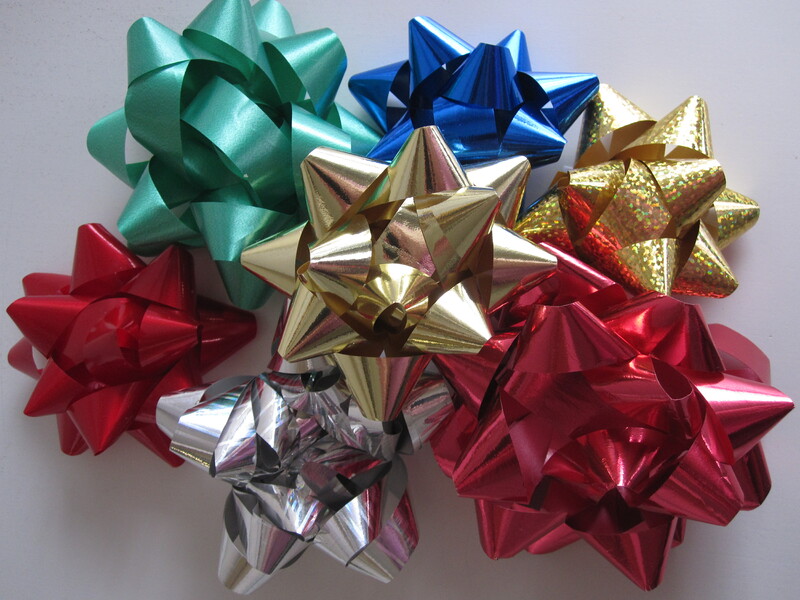 These are the only colors of bows we use for gifts at any time of the year. See that blue bow in the above picture? It came on a gift to us. You’ve still have bows in other colors, you just won’t need to buy more. The card pictured above is $4.79 for an 18-card set. Christmas cards at these prices sell out fast, so check their entire selection right here. Do you share gifts from your kitchen at Christmas? Here’s a chance to wrap them in style this year and save some money. You can browse their entire selection of related items right here. Want to get in on next year’s sale early? You can request a catalog right here. Oh, and if you find yourself in the Denver, Colorado area, Current has a great outlet! I used to spend my summers working in Colorado and would always raid this outlet before I went home. For directions, just call their catalog number (800-848-2848)and ask for more details. And just a reminder, I don’t ever get paid to recommend any companies or services on my website. I just like to share a great sale about products I use and trust with friends! Do you think this saving idea could help you save some dough during the holiday rush? What are ways you plan-ahead-to-save at Christmas? 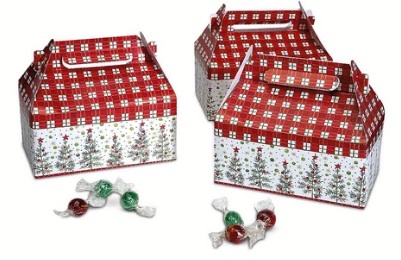 Want some ideas on keeping all those wrapping supplies organized? Oh, how I love to organize! Stay tuned for an organizing post later this week! Posted on June 28, 2011, in Lifestyle. Bookmark the permalink. 1 Comment. I’m one of “those people”, too. I’m glad I’m not the only one. I didn’t know anything about the Current sale. It looks like a great deal on wrapping paper. I could use some help getting my paper organized. I’ve got it all hidden in a trash bag under the bed. I’ll look forward to your next post about it.